Making an estate plan is a big and important step; a step that no one should take without being informed. Our free estate planning seminars will give you the knowledge you need to help secure your legacy and provide a solid financial future for those you love. My wife and I engaged SinclairProsser when we moved to Maryland over five years ago. Our previous plan, from another state and firm, was overly complex and difficult for us to understand after several years. SinclairProsser guided us through a very thorough, but efficient, process to determine exactly what we wanted in our plan. They provided options along the way, and were very patient in explaining — in simple terms — exactly the results of each option. They were exceptionally responsive in addressing our many questions and clarifications needed to get to final documents. They provided a very complete estate planning folder, and electronics copies, of the finished plan. We just completed our five-year review and updates to our plan, with the same outstanding service! We initiated estate planning following a presentation by SinclairProsser Attorney Jon Gasior. We were so impressed, we contracted with them to complete our estate planning. Subsequently, we assembled information on our assets and SinclairProsser did the rest. Correspondence was communicated to our financial institutions and the estate was established. We were very pleased with the courteous manner of the SinclairProsser staff. However, it was their professionalism that made us satisfied we chose this firm to handle our estate. We have nothing but praise for SinclairProsser. Welcome to SinclairProsser Law. We are located in Annapolis, Maryland and have satellite offices in Bowie, Millersville and Waldorf. We focus on estate planning and elder law matters. When you plan your estate, you protect the people you love the most. Each family is unique, so your estate plan should be custom crafted to ideally suit your needs. If you are looking for a law firm that will provide you with personalized attention, you have found the ideal resource. 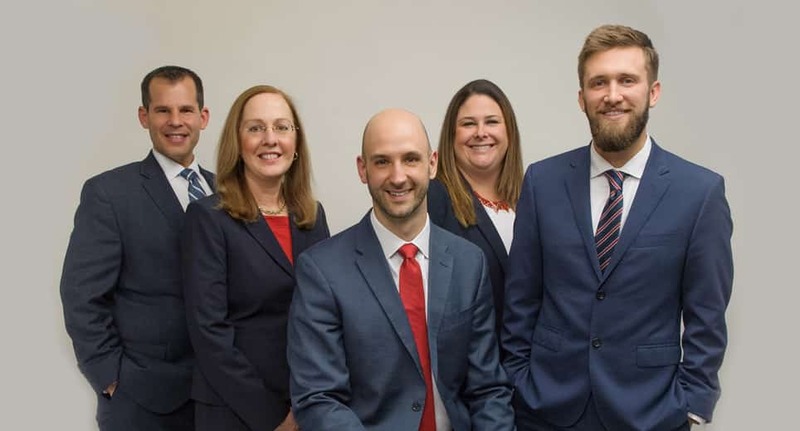 Colleen Sinclair Prosser, Jon J. Gasior, Victor A. Lembo, Alexander M. Pagnotta and Laura Curry provide Living Trusts, Wills, Probate, Trust Administration, Asset Protection, Special Needs and Elder Law services. They guide their clients and families as they transition through life’s cycles, providing security and peace of mind. When you plan your estate, you take action for the benefit of those that you love. There are many different things to take into consideration when you are devising your estate plan, and the optimal course of action will depend upon the circumstances. Each family situation is unique from every other, and your estate plan should be custom-crafted to suit your needs. Some people reduce estate planning to the creation of a last will, but in fact, there are other asset transfer vehicles that can be utilized. In many cases, a last will would not be the best choice.